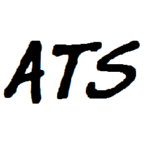 This guest post was written by Nick Anton, founder of All Things Strength. 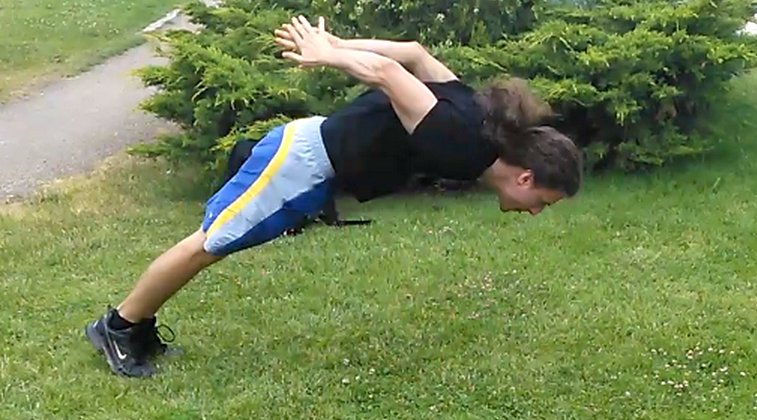 There are very few aspects of fitness that can’t be developed using just your own bodyweight. Upper body explosive strength is certainly not one of them, and there are a great many movements that can help to train it. 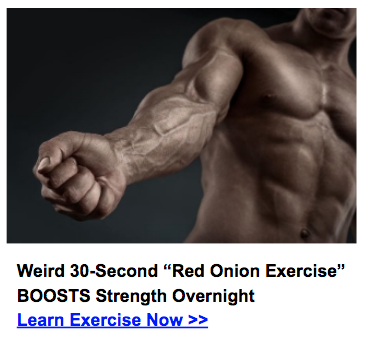 In this article, we’re going to discuss Behind-the-back Clap Pushups. 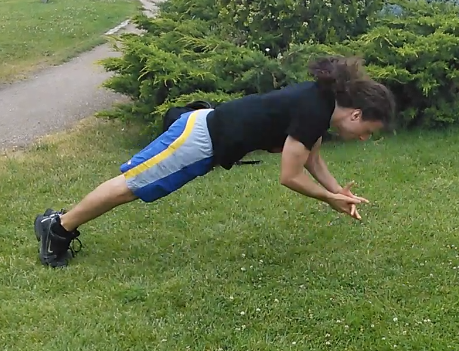 Aside from looking cool as hell, this exercise increases pushing strength, explosiveness, hand coordination, and speed. That’s a lot of bang for your buck! First I’d like to discuss correct form for the movement, and then I’ll outline the progression plan for Behind-the-back Clap Pushups. The tutorial is based on first-hand experience of developing this skill, and I’ll show you the exercises that helped me the most. The most important thing to remember is to have your feet closer than shoulder-width apart. If they’re any wider, you risk involving your legs to achieve more air time. 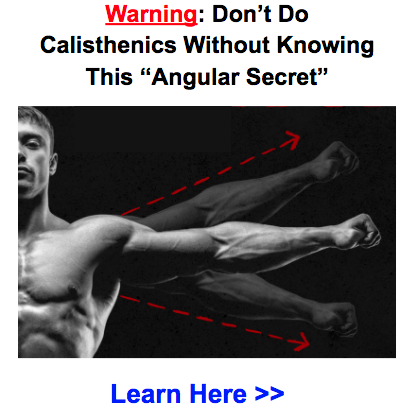 This is not proper form and detracts from the benefits you can achieve for your upper body. It’s also important to land under control. This is an explosive movement, and should be performed in a controlled manner so as to avoid injury. The pushup part of the movement should be done with proper pushup technique. Maintain a straight midline by engaging the core, and depress the scapula (shoulder blades). By maintaining proper form while performing the easier progressions, you’ll find it much easier to maintain proper form when the difficulty increases. Make sure to dial in your form right from the start. Perform an explosive pushup, allowing your hands to leave the floor at the top of the movement. As above, perform an explosive pushup that allows your hands to leave the floor. Before landing, bring your hands together in front of you in a clap. In this variation, instead of clapping in front of your body, touch your hands to the front of your hips before landing. This exercise will help you get a feel for the movement required in the behind-the-back clap pushup. This is the same as the previous progression, except your hands move farther behind your body to touch your sides. In this final progression, move your hands completely behind you to perform a clap behind your body. Even if you’re able to perform side touch pushups, you may still have a slight fear of performing the full behind-the-back pushup. 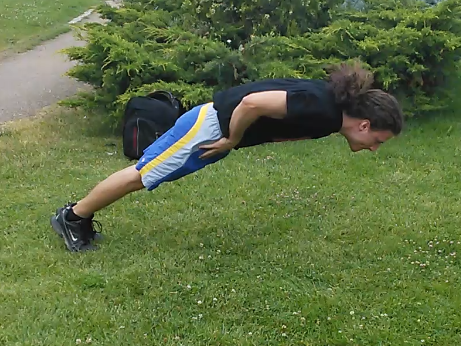 Keep practicing side touch pushups, always trying to “jump” higher and higher. Eventually you’ll have enough air time that you’ll feel confident enough to go for the full movement. 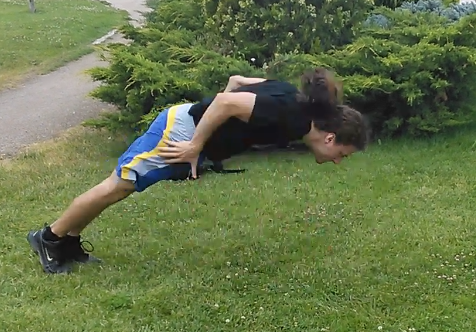 There are plenty of exercises that help to develop the various aspects required for the behind-the-back pushup. Pushing strength – Diamond pushups, triceps extensions, and one-arm pushup variations will help to develop the pushing strength required for the movement. Speed – To increase speed, I recommend practicing alternating clapping in front and behind your body as fast as you can. This can be done in between sets and/or as a warm-up. Mobility – Mobility work is always important. The landing portion of this movement places a considerable load on the wrists, so make sure to warm them up thoroughly to avoid injury. 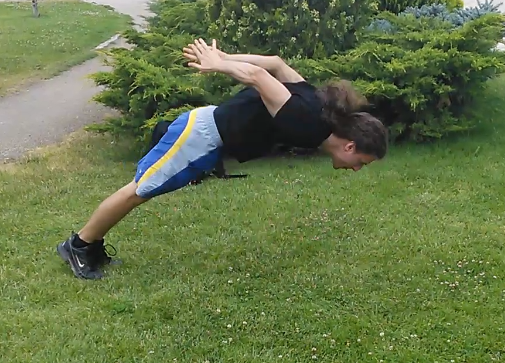 Isometric strength – I also found isometric pushing holds against a wall helped me a lot with the movement. Prior to each explosive pushup set, push against the wall for 5 seconds at a time with maximum force. Perform the exercise on an elevated surface – Perform the exercise with your hands on a chair rather than the floor, and try to do more claps (three for example; front-back-front). You can perform this exercise whenever you like as it isn’t a particularly stressful movement. This movement will not increase your strength, but it will help develop your confidence. Practice the movement somewhere where you feel safe – Perform the movement on a soft surface that you feel comfortable falling on. Progress to a normal floor when you are confident enough. Visualize the movement – Picture yourself (from a first person perspective) successfully completing the movement. This is not a complete training plan. It focuses only on the development of this particular movement. You should also include pulling exercises, as well as movements that train your legs and your core. This plan is appropriate for someone who can perform 30 consecutive pushups. If you’re not able to complete 30 pushups, focus on developing that strength endurance first before trying out plyometrics. 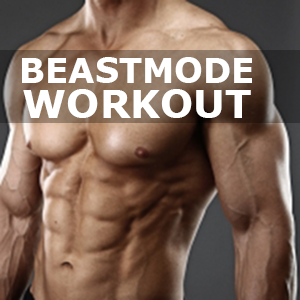 The program consists of two workouts, one for explosiveness and one for strength. 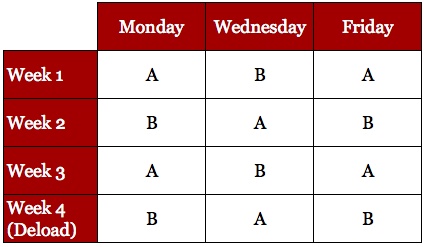 You should perform each of them at least once per week. Start the program with the first exercise in the progression at 4×8, then gradually increase the reps until you can do 4×12. When you can do 4×12, move on to the next exercise in the progression. 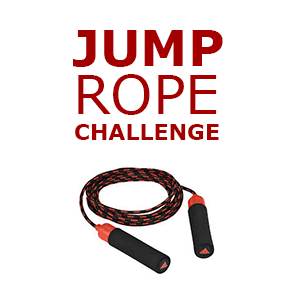 If you can complete 4×12 of an exercise but can’t complete 4×8 of the next, perform as many as you can of the harder exercise, then complete the set with the easier exercise. For example, you may do 3 reps of the harder exercise, then complete the set by doing 5 reps of the easier exercise. Every fourth week is a deload week. During this week you should go back two progressions and focus on your form. For your strength workouts, reduce the resistance to around 50-70% of your most recent workout. 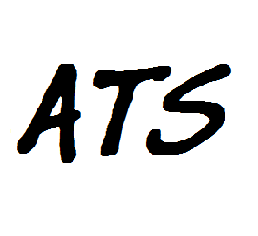 And that’s my comprehensive guide to mastering the Behind-the-back Clap Pushup, helping you develop explosive strength using only bodyweight exercises. Nick Anton is the founder of All Things Strength. The main focus of All Things Strength is to help you begin training with the right resources. Nick shares tips and advice about strength training, calisthenics, motivation, and other things that he considers useful for becoming stronger and healthier. Check out the site for more posts from Nick! awesome ! tried to do them in the past but was unable to get anything close. I am sure with these progressions I will be doing them in no time ! thanks ! That’s great Rocco. Glad you enjoyed the post. 1st step behind the back clap push ups. 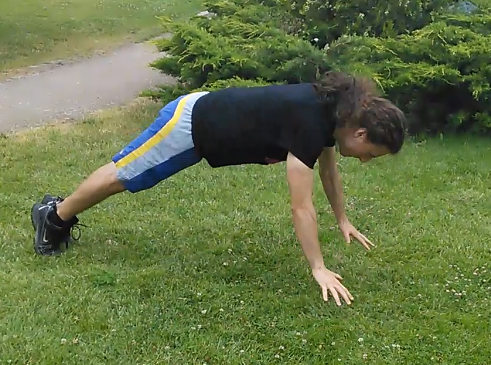 2nd step – Aztec Push ups! After following these particular instructions, I actually learned how to DO IT! I now can do five behind-the-back clap push ups in a row, REALLY helpful article. I just saw the proper form and did it right away without the progression. That’s really impressive. It’s not easy at all to do that.